After trying for many years, the first UK election leaders debate took place on British TV this evening - and Twitter was dominated by #LeadersDebate conversation. 6 of the top 10 Twitter Trends were related to the #LeadersDebate with the debate hashtag, leader names, broadcaster ITV and the phrase 'I agree with Nick' all featured. 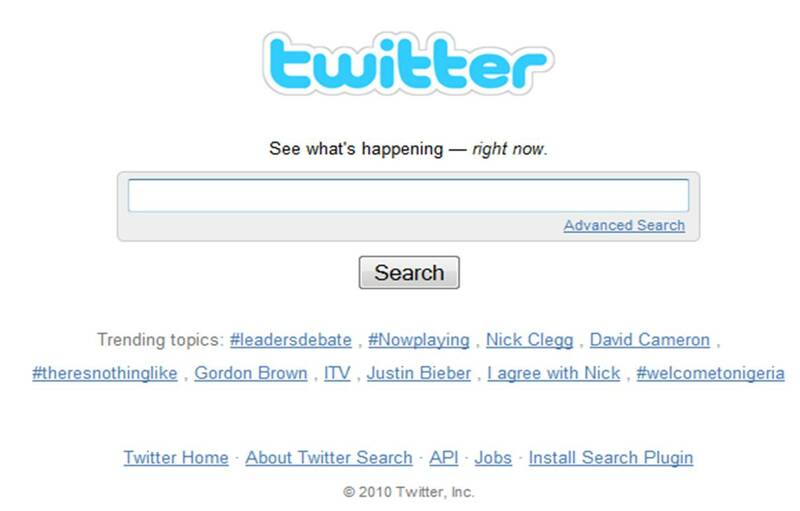 The BBC have stated that there were 2000 tweets per minute during the TV debate and the volume of tweets is another demonstration of how TV and social media can work together during live broadcast events. 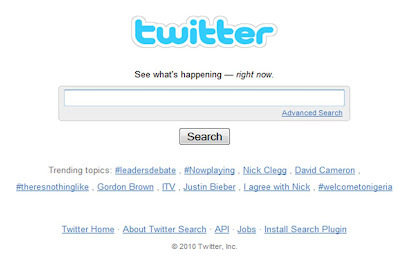 This might also (finally) kickstart the social media election. Gordon Brown regularly used the 'I agree with Nick' phrase and it is being repeatedly tweeted and re-tweeted. 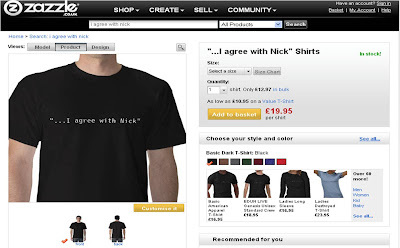 The legacy of the ITV debate may well be the generation of the first genuine meme of the 2010 election the phrase 'I agree with Nick' could come to play a big part in viral campaigning over the following couple of weeks - I wonder how long it is before someone starts buying it as a Google keyword or T-shirts start to appear! Zazzle are already selling 'I agree with Nick' T-shirts - an hour after the debate finished!